We care deeply about the safety and satisfaction of our customers. That's why when a recall is issued by a manufacturer, we take immediate action to inform customers of any risk or repair that is necessary to keep them safe and happy. As these defects are detected, recalls are announced by the Consumer Product Safety Commission (CPSC). Here, you'll find information and instructions regarding how to get your recalled pressure washer equipment serviced and access to the CPSC's product recall pages. 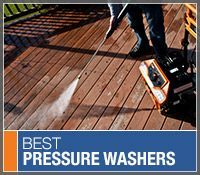 Pressure Washers Direct Safety Recalls.. Our Power Equipment Direct how-to library can help you learn about Proposition 65 Product Labeling, Sales Tax Information and Product Recalls for Pressure Washer Equipment.